It is becoming increasingly difficult to access public interest data in Hungary – especially when the information relates to the activities of the mayor of Prime Minister Viktor Orbán’s home village, Felcsút. Not only does Mayor Lőrinc Mészáros fund Hungary’s propaganda machinery, he is also believed to manage the secret wealth of the Orbán family. When visiting Viktor Orbán’s home village, Felcsút, one has the impression that the transition from Communism to democracy did not happen (or at least that the clocks have been turned back a few decades). For example, most of the locals seem to have been made part of the system: if asked to do so by the mayor, they are expected to board buses and listen to the prime minister’s speech in Budapest. They have also learned what to do when journalists come to the village to ask, for example, about the number of passengers riding on a nearby newly constructed narrow-gauge railway. This six-kilometre line was built with EU subsidies worth two million euros, but according to reports there are whole days when it runs without passengers. Following a number of visits to the village, we have found a pattern: whenever locals see someone who resembles a journalist, they alert the authorities, and soon something happens to disturb the journalists’ work. The first time we were there, an off-road vehicle stopped next to us, and a number of elderly people dressed as tourists got out. They had iPads, which they used to take pictures of us. Shortly thereafter, they boarded the train, demonstrating that people indeed use this new and expensive transport means. The next time we came, we were greeted by a group of young people wearing t-shirts bearing the government’s anti-refugee messages, while another time, when we came with a camera team, we were followed by four men in suits who did not say a word but watched what we were doing. While walking in the village, none of the locals we attempted to interview wanted to respond to our questions, while the mayor’s office reminded us prior to our arrival that we were allowed to take pictures only on the street, but not on the railway. Other journalists have experienced similar frustrations. When they make official enquiries, they usually do not receive any information about what is going on in this village. Journalists from the news site 444.hu reported that their drone was confiscated by police after they used it to film a stadium that was built only a few metres away from Viktor Orbán’s holiday home. And in April of this year, when a number of camera crews took advantage of the opportunity to attend a public meeting in the mayor’s office, Mészáros threatened to call the police if they did not turn off their recording devices. Investigative journalist Krisztina Ferenczi, who wrote extensively about Orbán’s wealth, reported that the stadium guards tried to grab her smartphone while she was sitting in her car taking pictures of the monumental building. On another occasion, when she was waiting in the mayor’s office to do an interview with Mészáros, the police entered the building and asked her to leave. The precarious situation of Hungary’s free press has further deteriorated since the Hungarian government approved the media law six years ago. The public media are now used almost exclusively for purposes of state propaganda, and pro-government journalists don’t shy away from creating false news stories. For example, televised footage of a press conference held by former Green MEP Daniel Cohn-Bendit was edited in such a way so as to create the impression that Cohn-Bendit fled the room to avoid answering a difficult question. In reality, he left 30 minutes after the question was asked in order to catch an airplane. Opposition politicians have a hard time getting their messages heard, as the pro-government media endeavour to exclude critical viewpoints from the discourse. Independent news outlets have been bought up by entrepreneurs with close ties to the government. These include Felcsút’s mayor, Lőrinc Mészáros, whose companies now own the news channel Echo TV, most of the regional newspapers and the country’s only economic weekly, Világgazdaság. Mészáros also orchestrated the shut-down of prominent political newspaper Népszabadság. Further evidence of the poor state of Hungary’s media is the fact that since Orbán took power, Hungary has fallen from 23rd to 67th place in the annual World Press Freedom Index published by Journalists Without Borders. This is especially problematic because reporting on government abuses and endemic corruption is one of the last remaining checks on government power in Hungary. The situation is exacerbated by the fact that access to information has been curtailed in the last few years: the information law was reformulated so that its main purpose no longer seems to be to allow citizens to access information, but rather to enable the state to keep its activities secret. State-owned enterprises can now argue that being transparent on certain activities could undermine their competitiveness, and they can deny journalists the right to copy and photograph certain documents, arguing that they are protected under copyright. If a public procurement contract is below the threshold of 130,000 euros, it is almost impossible to receive the necessary information to submit a bid. Constitutional lawyer Tibor Sepsi told us that the Hungarian information law is still considered a progressive regulation, because it only allows state institutions to deny access to information if there is a legal basis for doing so, and journalists can turn to the courts if they do not receive the information to which they are entitled. “There is, however, no pro-active publication of data,” Sepsi adds. There is almost no information on the websites of public institutions, and state bodies generally prefer going to court over complying with information requests, as this buys them time – often more than a year – and the requested information may well be out-of-date by the time they are compelled to release it. There have also been cases where the parliament has voted to declare certain information “secret”, so that it cannot be released even if a court rules against the institution withholding it. Authorities can also ask for money in exchange for public interest information to cover the copying costs and the labour costs of those who compile and organise the requested documents. Bertalan Tóth, parliamentary group leader of the Socialist Party, has told us that it normally costs somewhere between 500 and 5,000 euros to procure requested information (while the average monthly salary in Hungary is 550 euros). Once, Tóth says he was asked to pay 220,000 euros to Magyar Posta, the Hungarian postal service, in order to access the internal documents which he had requested. In some cases, however, even paying for the information is not enough. After more than a year, investigative news site Átlátszó.hu is still waiting for documents it paid for. And Krisztián Magyar, an investigative journalist at the magazine Magyar Narancs, told us that important pages are often missing or scanned illegibly, especially when they involve the dealings of the Orbán family or the mayor of Felcsút. A former gas-fitter, Lőrinc Mészáros has known Orbán since early childhood and has run Felcsút since 2011. Under his tenure, there have been many gigantic (and unsolicited) investments in this village, the most spectacular being a 3,500-seat football stadium (the village only has 1,800 residents) and a six-kilometre railway line. Mészáros appears to have participated in the realisation of both of these projects. Since 2013, Mészáros has been listed as one of the 100 wealthiest Hungarians. Whereas in 2010 he had only one company, today we have counted almost 120 firms where he, a member of his family or one of his associates is listed as an owner or manager. Altogether, these companies are worth 260 million euros. Mészáros’s wealth has a number of different sources, although EU-funded public procurement contracts play an important role and often involve overpriced and superfluous projects. According to Gabriella Nagy of Transparency International Hungary, 90 percent of such projects in Hungary are overpriced by 20-25 percent above the market rate on average. There are also cases in which calls for tenders are already customised in such a way so that only one company can meet the requirements, which enables this extra profit to go to a small circle of pre-selected candidates. The EU has no capacity to monitor these projects, as OLAF can only inspect 300 projects a year Europe-wide, Nagy adds. Hungary alone has 10,000 such projects each year on average, and it is thus Hungary’s task to ensure these funds are not misused. However, since both the calls for tenders and the monitoring are done by the Office of the Prime Minister, there is no incentive to uncover any wrongdoing. In addition, Hungary’s priority seems to be to spend as much money as possible, as quickly as possible, with little debate about the sustainability or usefulness of the realised projects. And laws have been passed or amended to keep his activities as secret as possible. For example, companies do not have to disclose which sports clubs they support with spectators sport tax incentives (which allow companies “to achieve tax savings of up to 104.75 percent of the financial support they provided”). Thus, no one knows for sure which sports clubs benefit from Mészáros’s companies’ state-subsidised donations, nor is it made public which companies donate to the Foundation for Felcsút Youth Football Development (the organisation that runs the football academy and the stadium in Felcsút) or what the donated money is spent on. Since 2011, the football academy in Felcsút has received almost 14 billion forints (more than 44 million euros) thanks to these donations. Mészáros is ready to sue anyone who says he is not a genuine entrepreneur, but rather merely an intermediary who takes care of the Orbán fortune. Nevertheless, there are many signs which suggest that the wealth he manages is not only his own. Here are some examples which, taken together, make us believe that at least part of this fortune belongs to the prime minister and his family. One of Mészáros’s firms is said to have paid the debts of Cider Alma kft, a company which on paper belongs to relatives of Orbán’s wife. His company seems to be renting a former Habsburg Estate in the village of Hatvanpuszta, near Felcsút, from the prime minister’s father, Győző Orbán. The justification: Mészáros needs a place to store his machinery. He has most likely never used the area, however; all he does is pay rent, which over ten years adds up to more than the original purchase price of the estate. 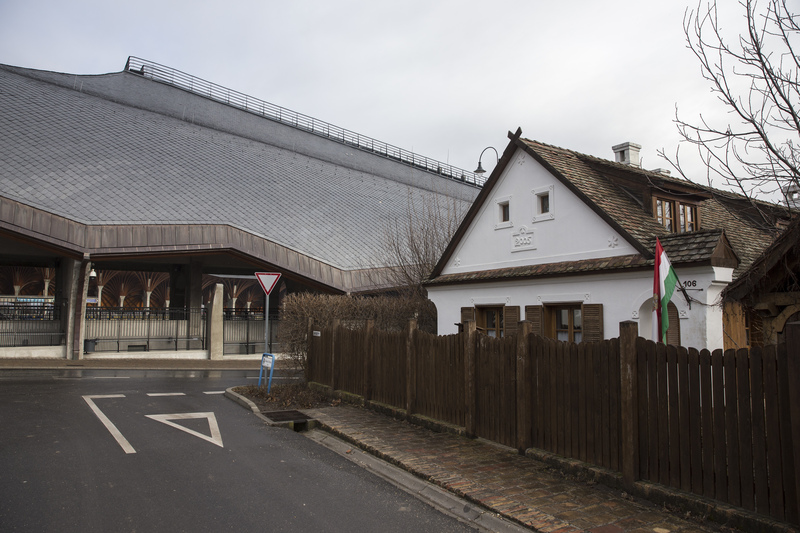 Mészáros sold his holiday home in nearby Rézhegy to the elder Orbán, but his ownership was most likely a formality, as witnesses have reported that the house was used by the Orbáns well before they acquired it. Győző Orbán sold his sand mine to Mészáros, but without transferring to him the permit to use the land – this was only done after the magazine Magyar Narancs reported on the obscure transaction, and the mine has not been used since. In the last few months, we have also seen vehicles owned by Mészáros enter the territory of Győző Orbán’s stone mine in Gánt, and the prime minister’s younger brother, Áron Orbán, was seen leaving Mészáros’s office but did not tell us what he was doing there. Mészáros also plays an important role in improving the quality of football life of Felcsút – a pet project of the prime minister. He is the president of the football academy, and the main sponsor of the stadium, as can be seen on the advertisements inside the facility. Finally, Mészáros’s new role as a media entrepreneur implies that his aims are to further strengthen the proportion of pro-Orbán voices in the Hungarian media landscape, which could be crucial to Fidesz’s 2018 campaign. Taken together, these activities help us to outline the role of Mészáros and his companies in Orbán’s Hungary: his success in winning public procurement contracts has enabled him to transform millions of euros into the private wealth of Orbán’s family and friends, spend part of it on the prime minister’s passion (the revival of Hungarian football) and spend the remainder on propaganda that helps to keep the system running. This is how Orbán, the person who promises to save Hungary from Brussels, is unobtrusively enriching himself from the subsidies his country receives from EU taxpayers. The research that led to this article was supported by the European Centre for Press and Media Freedom and the Journalismfund.eu. The article is part of our Dossier Focus on Hungary. Photos published by Hír TV, for example, appear to show that on 15 March 2017, buses bearing the logos of the Puskás Ferenc Football Academy and the Mezőkövesd Zsóry football team parked a few blocks away from the venue of Viktor Orbán’s speech in Budapest. The president of the Mezőkövesd Zsóry football team is András Tállai, a Fidesz MP, state secretary and president of the National Tax and Customs Administration. The Puskás Ferenc Football Academy is headed by Mayor Mészáros. The original post is not available, but video about the confiscation of the drone can be seen on YouTube. A report, accompanied by a video, can be found on 444.hu. Krisztina Ferenczi (1950-2015) spent years investigating corruption cases close to the current government. She wrote two books about the wealth of the Orbán family: Szüret (2006) and Narancsbőr (2014). A report on media manipulation can be found in the English edition of Der Spiegel, in a report published by the Center for Independent Journalism, and in the Budapest Beacon. Some background on the information law can be found on the blog HungarianSpectrum.org. The news site 444 has reported on this issue (article in Hungarian). We ourselves have experienced how problematic it can be to access information about the mayor of Felcsút. For example, when we requested to see his wealth declaration, we were denied permission to make copies or photographs; all we were allowed to do was to take notes using pen and paper. Magyar Narancs (article in Hungarian) has reported that vehicles and machinery belonging to Mészáros és Mészáros were present at the railway construction site. The same company is also listed on the website of the Puskás Ferenc Football Academy (website in Hungarian) as one of the companies participating in the construction of the stadium. In 2013, the government declared the Felcsút railway project a “priority public investment” and tasked the only applicant, the Foundation for Felcsút Youth Football Development (an organisation headed by Mészáros) to proceed with the implementation of the project (press release in Hungarian). In our calculation, we have included 119 companies which were listed in the Hungarian media as being owned by Mészáros, one of his close family members or a close associate (people who have in the past sold their newly acquired companies to Mészáros). In our cautious estimation, we added up the 2015 equity of the above-mentioned 119 firms, as newer filings were not available at the time. According to Index.hu (article in Hungarian) the income of the company has grown from 19.2 million forints in 2006 to 20 billion forints in 2016 (based on the exchange rates of the respective years, this can be translated into an increase from 73,000 euros to 64 million euros). The companies are Mészáros és Mészáros Kft., R-Kord, Fejér B.Á.L. Kft. and Vivienvíz Kft. Index.hu (article in Hungarian) has reported that Lőrinc Mészáros has bought 400 hectares of land (which is 100 hectares more than what is allowed by Hungarian law); his brother János bought 207 hectares; his wife Beatrix 296 hectares; his daughter Ágnes 209 hectares, and his other daughter, Beatrix, 276 hectares. This adds up to 1,391 hectares. Although there are no official numbers yet, the media outlets that were acquired by Mészáros feature a large number of government advertisements. According to estimates by Magyar Narancs (article in Hungarian) another Hungarian media entrepreneur, Árpád Habony, has earned almost 1 billion forints (3.2 million euros) from advertisements that were paid for by the government or ministries. The Hórusz Faktorház Zrt. company had paid more than 10 million euros in the name of Cider Alma kft, according to information acquired by the Hungarian news television station Hir TV. The background of the Hatvanpuszta Habsburg estate can be found in an article published in the Budapest Beacon. Magyar Narancs (article in Hungarian) has written about the ownership of the holiday home. The regional newspapers acquired by firms close to Mészáros are the subject of heavy criticism in the Hungarian media for their unbalanced and biased reporting, and for their unconditional support for the government. The news site 444 (article in Hungarian) has compared the cover pages of several regional newspapers and found that all of them have republished an interview with Viktor Orbán from the Magyar Idők newspaper, with exactly the same title and the same cover picture, implying that the editing process of these newspapers has been centralised. Since the takeover, a number of critical newspaper reporters have been fired from these media outlets. Momentum Movement: Is there a bright future for the new Hungarian youth party? A new opposition party established in Hungary: Momentum Movement, a youth party formed by mostly 25-to-35-year-old university graduates. Is it merely a moment or the inception of a long-lasting political force in Hungary?